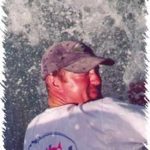 Welcome to Captain Bill Cannan Port O’Connor Fishing Guide. This is your first post. Edit or delete it, then start writing! Offshore fishing out of Galveston is a chance at some world class angling. Kingfish, dorado, ling, red snapper, shark, and triple tail are our most common catches. Fishing rigs, wrecks, bottom rocks, and weedlines are four ways we consistently make big catches. Limits of kingfish, good numbers of dorado, ling to 80 pounds, and excellent red snapper were the norm in the season of ’99. We start running offshore in July and continue until the end of August. 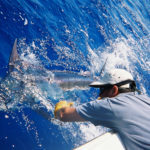 The approximate two month window allows for top notch offshore fishing within 60 miles of shore. Also winter time red snapper trips can be another chance at offshore angling. November and December are the months for this and these trips depending on the red snapper limits that are often changing. 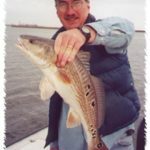 In these saltwater fishing reports you will find information about locations, top lures, and trip results from my latest fishing trips. Throughout my career I have written articles for various magazines and publications. These are a few taken from the Texas SportsGuide in which I have been in association with for nearly ten years. All of my articles are based on knowledge that I gained through experience and some of my articles are based on the experience itself.